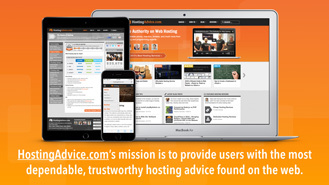 Launched by Digital Brands in December 2014, HostingAdvice.com’s mission is simple: to provide users with the most dependable, trustworthy hosting advice found on the web. 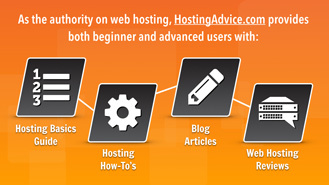 With blog articles, how-to guides, reviews and the world’s best beginner's guide, HostingAdvice.com has truly become the authority on all things hosting. 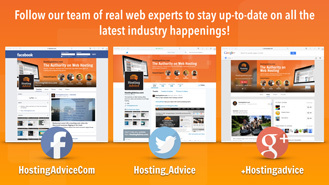 HostingAdvice.com is a site created by a team of real web experts who have a combined 50+ years of experience in web hosting. From sites with millions of visits to small personal projects, HostingAdvice.com’s programmers and tech managers spend $1,000s monthly on a wide variety of hosting services. 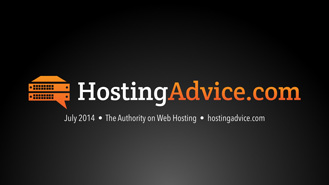 With more and more readers visiting and using HostingAdvice.com, it is undoubtedly becoming the go-to destination for not only experts in the hosting industry but beginners alike.